I love this! You probably have had friends and mentors tell you to “fake it until you make it”. THIS is far more accurate statement. If you follow the path of FAITH, and believe that God or your higher power, has control of the situation, you leave the fear-based space. Fear prevents you from moving, it can paralyze you. 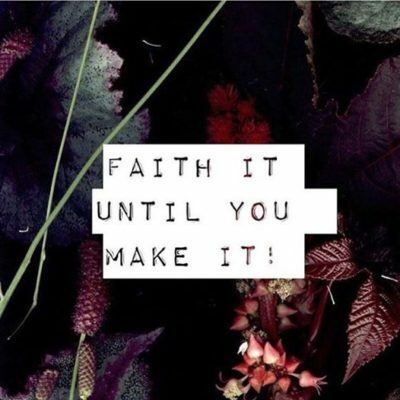 Stay in faith, believe in the process, trust in your higher power, love the life you live, and WAIT for the amazing result! Patience is a virtue in life, have faith that your most amazing day is still on its way!